If your GPS antenna has failed or has broken, we can supply you with the correct replacement part, typical fault symptoms include the failure to get a GPS satellite lock with your unit, or the GPS signal drops frequently. 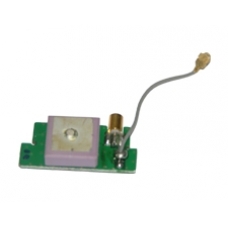 Replacing this antenna board allows you to restore GPS functionality to your Mio 350. * Includes External Antenna Connector.